To help clarify food products labeling for manufacturers and consumers, the Corn Refiners Association petitioned the U.S. Food and Drug Administration to allow manufacturers the option of using "corn sugar" as an alternative ingredient name for high fructose corn syrup. "The term 'corn sugar' succinctly and accurately describes what this natural ingredient is and where it comes from — corn," said CRA President Audrae Erickson. "Sugar from corn is a safe and affordable natural ingredient, and based on third-party research, we believe consumers would benefit from a clearer name." Independent consumer research confirms that the current labeling is confusing to American consumers. For example, despite the fact that high fructose corn syrup and table sugar contain the same amount of fructose, nearly 58 percent of consumers incorrectly believed that high fructose corn syrup has more fructose than table sugar does. However, the facts are straightforward. For example, in a December 2008 report, the American Dietetic Association confirmed that high fructose corn syrup is "nutritionally equivalent to sucrose (table sugar)," and that the sweeteners contain the same number of calories per gram. The ADA found that "once absorbed into the bloodstream, the two sweeteners are indistinguishable." "When it comes to calories from sugar or high fructose corn syrup, they're exactly the same. The overall nutrition message that 'calories count' is accurate," said Erickson. Consuming more calories than the body can burn — not a single food or ingredient — causes weight gain. As Americans grapple with an "obesity epidemic," well-known nutritionists question whether sweetener confusion could lead consumers to make potentially unhealthy decisions about sugars in their diets. "All added sugars — corn sugar, table sugar, honey and fruit juice concentrates — should be consumed in moderation," said Erickson. "These sugars contain an equal number of calories that must be burned off, or the body will convert them to fat." "We hope that the FDA will act positively on our petition in the interest of consumer clarity." 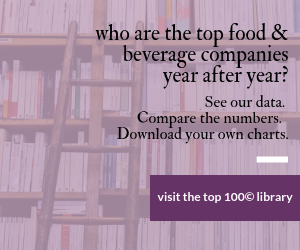 An analysis of Nielsen data gathered from March 2008 to January 2010 across five major food and beverage product categories (canned soup, condiments, fresh bread, carbonated cola and ready to drink tea) indicates that brands that reformulate their products from high fructose corn syrup to sugar did not impact consumer purchase behavior at retail. Petitions that meet FDA regulatory requirements are placed on a public docket and are available for comment by interested parties. Current regulations direct FDA to furnish a response to a petition within 180 days.